There’s something happening down in Adelaide. 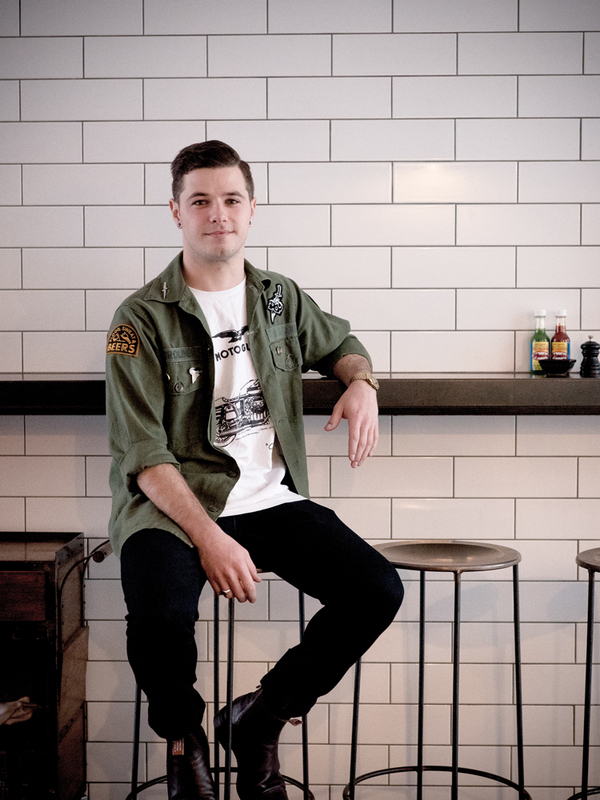 The new wave of small, operator-driven bars that are putting drinks and hospitality front and centre are also blooding a fresh crop of dedicated bartenders and industry professionals. Whereas once, talented bartenders would do some time in Adelaide before pulling up stumps and relocating to the bigger cities on the east coast, now they’re staying put, seeing Adelaide as place in which they can make a career — and one in which they can make a big splash. One member of this vanguard is Maybe Mae’s Nick Corletto. With managerial stints at Adelaide bars Little Miss Miami and Hains & Co on his resume, the 24 year old has put down roots at Maybe Mae — below, he tells us why Adelaide is such a booming place for bartenders wanting to make a name for themselves, and how they think about things at Maybe Mae. I’ve been here since September last year. My role is I’m one of the duty managers for Maybe Mae. I just try and do the best I can to help out wherever needs help. I’m a bit more of a details guy — checklists, managerial procedures, that kind of thing is my jam. I like numbers. Ollie very much keeps the ship running, I help provide enough feedback to understand what’s going, basically. It was getting tossed up for a while, and I couldn’t make a real commitment to it. But it’s something that since I was 18 was easily my thing to do, easily my passion and now it’s like, I can keep everything else on the back burner but I want to make this my priority. It’s an addictive lifestyle. Not in terms of going out and getting smashed each weekend, it’s a passion every single week and it’s active, it keeps you moving, it’s your social life. It consumes a lo of hours but it’s creative, it’s intelligent and challenging work and therein lies the addiction — it just ticks all the boxes as far as I’m concerned. Maybe Mae’s ethos is, sustainable and approachable drinks, very much a la Milk & Honey style: minimalist, simple, expressive drinks that champion the spirit and are seasonal. And it makes a lot more sense to do it that way. We’re in such close contact with such incredible produce that Australia has and that South Australia has in particular — it’s some of the best produce available in the world. It doesn’t make sense to not use that, basically. A focus on approachable drinks is a big tick on my list as well. We do have quite a few serious drinks that are delicious and complex and quite serious, but the main idea is to get non-cocktail drinkers to think about having a cocktail and bridge that gap and to make it not a chore to try a new cocktail but to make it an experience and a delight. I think you’ll find that there is an increase in the number of people that are going out in Adelaide, it’s a little more vibrant now and there’s more options, and there’s a lot less people going straight to their local pub. Adelaide’s one of the best growth markets — culturally and economically — it’s a place where anyone can carve out a name for themselves without needing a considerate amount of backing from other investors. Literally, nobodies can start their own thing and succeed in it, financially and culturally — that’s what makes this place the best. Adelaide’s the best city to live in in the world. I’ve kind of shifted my philosophy since working at Maybe Mae. You can make good drinks in a lot of different places, and that’s a big part of why people walk in the doors in the first place, but the biggest reason that people come back stems from customer service and experience and thats what I’ve been shifting my attention to since starting at Maybe Mae, and my customer service has come on leaps and bounds. Whatever they want to drink. Literally, I’ve said this to a million customers before, what you like to drink is what you like to drink. I won’t be able to change what you like to drink — if you want a Mojito, I’ll give you the best damn Mojito you’ve ever had. The idea is that everyone’s tastes and perceptions and what they like to drink and their habits are all different, so saying that you should drink this or this is my favourite drink to serve, you tailor it to the person.